If you are thinking about ordering lanyards for your startup then you need to learn about the many options that are available. This article is designed to teach you everything you need to know about promotional lanyards: how to use them, materials that are available, and the types of imprint methods that can be used. We supply Lanyards Silicon Valley and you can choose from many features including attachments, thickness, and different materials. There are literally thousands of potential combinations, allowing you to create the perfect lanyard to match your needs. By following these guidelines, you will be able to select the perfect lanyard for your company. Lanyards are designed to be tools that can be worn around the neck, wrist, or shoulder to carry another item. Initially, they were used by the French military, who used lanyards to connect tools and weapons to their uniforms. These lanyards were especially beneficial when the servicemen were on the move, to prevent the accidental loss of their weapons. Modern lanyards aren’t necessarily used for military equipment any more, but they serve the same purpose: to hold important items nearby. You can get lanyards that will hold almost anything that you can imagine: cell phones, keys, ID badges, and more. There are many common ways that promotional lanyards are used, including as ID holders, badge holders at events, or holding commemorative items. Many event managers and business owners find that they are able to save money when providing people with promotional lanyards, because it’s less likely that the badge or ID will be lost when it is attached to the lanyard. If a badge or ID is misplaced, then it costs the company in the materials and time required to replace the badge as well as the loss of productivity when the employee is taking care of the problem. At a big event or tradeshow, lanyards are beneficial when they are given away as promotional products. Many people consider lanyards an important part of the event, because these lanyards keep the ticket or ID in place as each person is walking around the expo. 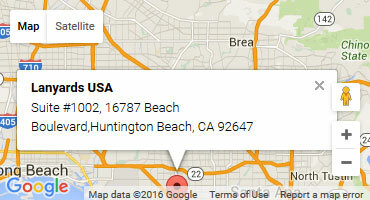 It is very easy to see the person’s name, business, and credentials when they are wearing a lanyard with their ID. The visibility facilitates networking and other connections at the event. Sometimes, people like to buy lanyards as a memento or souvenir. The lanyard can be used at the event to hold the passes that are required, and then they can use it on an ongoing basis to hold their keys or other personal items. Each time they see the lanyard, they will remember the fun experiences that were had at the event. A variety of industries often use lanyards as promotional items, including Fortune 1000 companies, tradeshow coordinators, medical companies, and colleges. If there is ever a need to wear an ID or badge, then a lanyard can be very handy. These lanyards can be used for showing credentials, and they are especially beneficial when companies have RFID technology built into the ID cards so that people can easily access the secure areas in the building. Many companies are now incorporating Radio-Frequency Identification (RFID) into their badges, and they offer promotional lanyards to hold the RFID cards to make it easy for their employees to move about the building. When the tags are attached on the lanyard and worn around the employee’s neck, the company is able to track the time and attendance of each person. College students love lanyards, because a lanyard offers a handy way to hold the student ID. These promotional lanyards can be printed with the school logo or colors, making them fun school-spirit gifts. 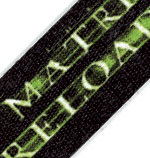 Lanyard material is manufactured, printed with your logo, and then sewn or crimped with the right attachment on one end. By printing before adding the attachment, This offers a higher quality print and most companies will actually measure the material length out before placing the print to ensure that logos and messages are not sewn through or cut short. 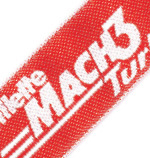 The other, cheaper method of printing is to have the material on a massive role and basically repeat print the logo along the role and if there is a logo on the cut point then it is usually left cut short or distorted. What are Lanyards Made of? 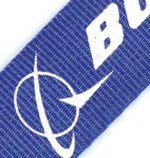 Although there are many options available to make lanyards, the most popular materials are polyester and cotton. Customers often choose these materials because they are affordable. It is important that you understand the differences between these two materials to choose the best option for your needs. Cotton is very durable and soft, but polyester can offer a crisper, cleaner imprint on the fabric. If you have a logo with an intricate design, then it is probably best to choose polyester. Flat Polyester lanyards: The most popular of all the lanyard materials, economical to personalize and with a crisp and clear printing finish. 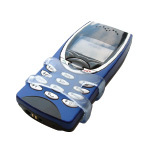 This material is manufactured from plastic that is broken down and spun into a soft, durable and comfortable material. 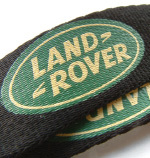 There is a good reason that 95% of all lanyards manufactured are made from polyester. Recycled (PET) lanyards: These materials are made of recycled plastic, so they are perfect for groups that are environmentally conscious. The finish is slightly ribbed and they have a little bit of a sheen. Even though the lanyards are made of plastic, they are very comfortable to wear because they are soft to the touch. 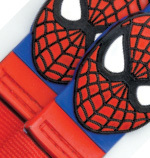 Nylon lanyards: If you are trying to create a rugged, tough look, then you should consider nylon. This fabric is thick and ideal for the printing of detailed images. Healthcare facilities often prefer synthetic because it isn’t conductive, which means there are no concerns about static electricity. Additionally, the synthetic materials can be washed in alcohol to be disinfected. Duoflex lanyards: People with a big brand to get out there can definitely benefit from the dupflex custom moulded pvc section sewn into their lanyard designs. 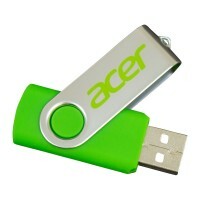 Colours can be customised and your brand will truely stand out. Reflective Lanyards: When planning a nighttime event or lanyards that need to help with safety, then you should look for reflective materials. 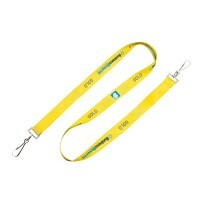 These lanyards are very beneficial when it is important to have high visibility. The fabric can be woven with reflective stripes, or the whole lanyard can be covered with reflective coating. 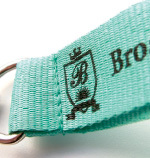 You can choose the size and thickness of your lanyards, but there are three common thicknesses that are frequently used: ½ inch, ¾ inch, and 1 inch. The most common thickness is ¾ inches wide, followed by ½ inch lanyards coming in as the 2nd most popular width. 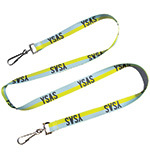 If you choose a thicker lanyard, then it provides more space for logo printing, facilitating complex logos and making it easier to see the logo from far away. It is nice to enjoy these benefits, but some people don’t like how big and flashy the thicker lanyards look when they are worn around the neck. Remember, if your lanyard isn’t used, then it means that your brand isn’t being seen. So, try to consider the type of lanyard that your target demographic would like, and plan the details accordingly. The standard length for lanyards is 32 inches long, although they can be ordered shorter or longer if you prefer. In addition to choosing the fabric and design of the lanyard strap, you also need to select the attachement piece that will be used to make it functional. There are a number of options available, and you should consider the way the lanyards will be used in order to determine the right choice for your order. You can choose metal or plastic lanyard attachments, and you should keep your target demographic in mind when selecting these pieces. Black attachments tend to look nicer and more modern, and they have a higher perceived value to most recipients. You can choose black plastic attachments, or metal that is coated in black to cover up the silver colored finish. 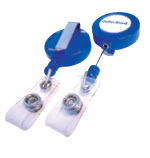 The two most common and popular lanyard attachments are the swivel clip and the O-ring. About 50% of all lanyards are made with an O-ring attachment, and it serves a dual purpose: badges can be clipped on the ring, or other items can be attached as well. Swivel clips are also nice and they account for approximately 25% of the market. 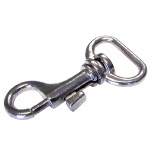 Swivel clips are best when the lanyard is being used for keys or badges. 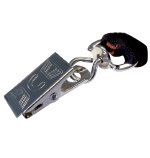 The clip has a small hook that closes, to make it easy to put things onto the lanyard. When the clip is closed in place, you don’t have to worry about those items falling off. 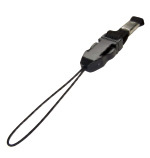 Bulldog Clip: Ideal for holding badges and IDs that are tucked into a pocket with a horizontal slot. 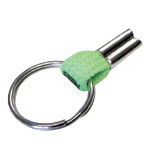 The clip fits into the slot to hold the badge straight, or it can also be attached to a key ring. Double-Ended: Has 2 attachments that make it easier to keep badges and IDs balanced when they are being worn on the end of the lanyard. Camera Cord: A small loop at the end of the lanyard, similar to those on basic point-and-shoot cameras. 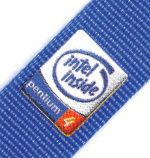 These lanyards are usually used around the wrist. Lobster Claw: Sometimes called a trigger hook, it can clasp onto keys. There is a little lever that is used to open and close the hook, in order to attach it onto anything that needs to be held on the lanyard. Cell Phone Pouch: A small pocket pouch at the end of the lanyard, designed to hold a cell phone. Convenient to use because you have instant access to your phone and don’t have to carry it in your pocket. G Clip: If heavy items will be attached to the end of the lanyard, then you might consider a sturdy heavy duty attachment such as a G clip. This attachment is similar to our lan04 trigger clip however it is reinforced. Split Ring: When you need to hold items that are stacked together, a split ring can be a great option. 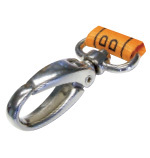 This attachment works great for keys, ID badges, or access cards that have a bull dog clip. One of the greatest advantages to creating promotional lanyards is to have them printed with your logo or custom message. There are multiple methods of imprinting that can be used, and several pros and cons to each option. 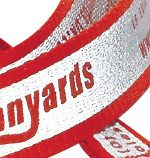 Screen Printing: The most common type of lanyard printing, because it is durable and affordable. These lanyards are typically printed with 1 – 2 colors, and you can choose to have the printing on one side or both sides. Heat transfer: Although not quite as durable as screen printing. Color is placed on the fabric by using heat and pressure. There are limitations with the material combinations and the imprint colors that can be used. Jacquard Weaving: Woven messages on the lanyard are very durable and classy, and various colors of thread are actually sewn into the material. This high-end method is the most expensive, but it looks very nice on the completed product. Dye Sublimation: If you need high level of color vibrancy and you want to use multiple colors, then you should consider dye sublimation. With this method, we can print full-color graphics on the fabric of the lanyard, and it is becoming more popular because the finished product looks very professional. As you can see, there are a number of options available for promotional lanyards, and you can hand-pick the perfect design elements that will match the needs of your organization. Promotional lanyards can be effectively used in many industries, and there are countless ways that you can use these items to spread the message about your company. 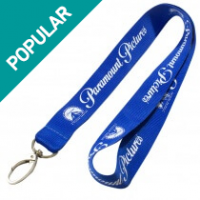 Do you want to learn more about how promo lanyards can be used in your business? Contact us today, and we will gladly help by answering your questions and assisting you in the process of choosing the lanyards that are right for your needs.